To Cite: Ashtiani M N, Azghani M, Shakouri S K. Biomechanical Modeling of Hip Abduction Exercise Using Optimized Inverse Dynamics, Zahedan J Res Med Sci. Online ahead of Print ; 21(1):e68977. doi: 10.5812/zjrms.68977. Background: Hip abduction is considered an effective exercise to strengthen the gluteus medius muscle due to its performance simplicity and proper muscle involvement. Objectives: The present parametric study aimed at the assessment of the hip abductor muscle activity in two different modes of exercise, two muscular strength conditions (normal and weak) and three weight loads (0, 2.5, and 5 kg). Methods: A comprehensive musculoskeletal model (AnyBody, version 5.3.1) was used to calculate the activities of the gluteus medius muscle based on the optimized inverse dynamics approach. The model performed side-lying and upright standing hip abduction exercise in an iso-kinetic mode. Results: The side-lying exercise required 40% activation of the muscle in the no-weight normal case while the standing exercise needed lower than 20% in the same condition. The addition of extra weights to the abducting leg caused a considerable increase in the muscle recruitment and the muscle weakness induced greater endeavor of the gluteus medius. Conclusions: The rehabilitation of the weak hip abductor muscles may start with standing no-weight cases and continue by adding extra weights. The side-lying exercise may extremely involve the muscle, specifically in weaker individuals. Muscular weakness may adversely affect several functionalities that are expected to perform by gluteal muscles. The most important activities of the gluteal muscles (GM), mainly gluteus maximus and gluteus medius (GMd), are to extend and abduct the hip joint during human gait (1, 2), and also to provide stability for the pelvis the standing position and during some phases of the gait (3, 4). Furthermore, the stability and right positioning of the femur rely on the appropriate activation of the GM (5, 6). It was reported that the GM frailty might influence other muscles, joints, and soft tissues in the vicinity of the pelvic region in addition to constraining hip joint kinesiological maneuvers (7). Several disorders such as low back pain (8, 9), fracture of the tibia (10), and injury to the anterior cruciate ligament (5, 11) are related to malfunction of the GM. Prescription of physical therapeutic exercise is an influencing route to recover the ability of contraction of a certain muscle (12). Different exercises, e.g. lunge, single-limb squat, pelvic drop, and hip abduction, have been proposed to strengthen the GM (12-15). Hip abduction has gained several regards among the exercises with different ranges of motion (ROM) from 25 to 45 degrees (16-18) because it is easy to do and appropriately involves the GMd muscle (19-21). Nevertheless, researchers have reported controversial results with respect to the level of GMd activation (22, 23). Boren et al. compared a variety of proposed exercises to find the GMd activation and gluteus minimus muscles using surface electromyography (24). They found that hip abduction exercise in side plank position requires the activation of 71% maximum voluntary isometric contraction (MVIC). In contrast, Park et al. have found that the maximum activation for the GMd muscle is less than 30% MVIC in the same position. They also suggested that the use of the pelvic compression belt could enhance the activation level (22). Hip abduction tests in the side-lying position have resulted in the GMd activity of 39% MVIC in average in another study (25). Moreover, Bolgla and Uhl demonstrated that the activation of the GMd muscle in the side-lying position of the hip abduction exercise is about 44% MVIC (12). The mean ± SD activity of this muscle in the side-lying exercises was reported as 45.2 ± 16.2% (26). Computer simulations have been widely used to simulate the biomechanical behavior of the human musculoskeletal system due to its straight-forward implementations, ability to perform a parametric study, reducing the cost and problems of experiments, etc. (27-29), though its validity and precision are doubtable. The goal of such models is to determine the muscle force shares needed to bring the body into the equilibrium. These models often use optimization techniques due to the greater number of unknown muscle forces than the degrees of freedom in the model. The minimization of energy or summation of other consumptive parameters like muscle tensions can assist to achieve more-reliable results (30). The application of such a technique, in general, can shed light on the response of the musculoskeletal system to the kinematic constraints and motions, and bypass some routine involvements that might emerge in experimental techniques; however, the precision of the model in geometrical coordination of the constituents is a prerequisite to reach valid results (31). Experimental studies have developed useful results; however, they did not consider performance details like the strengths of the muscles and weight-bearing effects in the same conditions. In addition to the relatively diverse experimental results, lack of a comparison existed between the hip abduction modes, effects of weight bearings, and muscle weakness. Therefore, in details, this paper aimed at numerically assessing the muscular activity of the GMd during two modes of hip abduction exercise by considering the effects of different muscle strengths and extra weights. It was hypothesized that the extra weights or exercise modes considerably influence the GMd recruitment. The rationale for doing this was to investigate the most influential factors in different cases of rehabilitation or sports training. is considered for every muscle within the model. Details of similar models can be found in references (27, 28). The movement of the hip in abduction direction was set to start from the rest position to the end of the ROM, i.e. 45 degrees. The exercise simulations were performed in two modes: (1) one-leg hip abduction in upright standing (US), and (2) one-leg hip abduction in side-lying (SL) position. In the US model mode, the abducting leg commenced its movement from the normal standing posture in five degrees of hip abduction to the maximum limit of the ROM, i.e. 45 degrees (∆θ = 40 degrees), and then returned to its original posture. In the SL mode, the model was laid on the ground on one side so that the legs were in their rest position with zero abduction angles. The abducting leg was moved into the maximum limit of the ROM or 45 degrees (∆θ = 45 degrees) and returned to the initial position. Figure 1 demonstrates the models used to perform the exercise in two modes of DS and SL. In both modes of the DS and SL, the model performed the exercise by a certain velocity profile during two seconds accordıng to the plot of Figure 1C. The exercise simulation considered three weight levels (0, 2.5, and 5 kg weight) attached to the shank. The study was done in two muscle strength conditions of normal (33.2 N/cm2 muscle tension (32, 33)) and weak (half muscle tension of 16.6 N/cm2). The paired-sample t-test analysis was used to compare the results of our simulations in the domain of time. Since there were similar time intervals of muscle activation to follow their trend over the exercise, the time remained fixed between all outputs. Differences in time trends of the muscle efforts could be disclosed using this type of statistical analysis. The P values of ≤ 0.05 were considered significant. Figure 2 shows the no weight (W0) normal (Nr) conditions of the side lying and the upright standing modes of the hip abduction. The SL mode resulted in higher levels of the GMd force generation rather than the US one. The maximum of the US hip abduction occurred at the most abducted angle, i.e. 45 degrees, by a magnitude of 0.19. In contrast, the SL mode experienced its peak activation at the start of the exercise (0 degrees) with a value of 0.40, which is roughly two times greater than the US value. The maximum of the US activation was lower than the minimum of the SL-induced effort of the GMd muscle. The heavier weights attached to the abducting leg led to the further recruitment of the GMd muscle in both modes of the exercise. The maximum 5 kg added weight increased the muscle activation up to 52% for the SL and 27% for the US mode in normal muscle persons (Figure 3). Figure 4 plots the GMd activation based on the strength of the muscles separated by the added weights. The weaker model required more effort of the hip abductor muscle to overcome the weight moments. The initiation of the side-lying abduction for added 2.5 and 5 kg weights needed high efforts of the GMd muscle in the weaker ones. The Pearson coefficient between the different weights and the muscle strength was near 1.0 to indicate a direct correlation between the effect of adding extra weights or physical conditions of the muscle. This measure between the exercise modes was near -1.0, meaning an inverse correlation between the side-lying and the upright standing hip abduction. The paired t-test also unveiled that the regime of the GMd activation against the time is not similar (P < 0.000) between the majority of the abductions with different weights or muscle strength conditions. Table 1 represents the results of the paired-sample t-test. Abbreviations: Nr, normal; SL, side-lying; US, upright standing; W, weight ; Wk, weak. A precise model of human body dynamics was used to evaluate the effects of hip abduction exercise on the activation of gluteal muscles. Two modes of dynamic standing and side-lying abduction for the left hip with two muscular strength conditions and three different weights were defined based on therapeutic exercises. The focus was, however, on the generated force of the GMd muscles as the principal hip abductor. The GMd muscle, in general, was more recruited by the side-lying mode of exercise. The initiation of the hip abduction was very different. The maximum amount of the GMd effort occurred at the beginning of the side-lying exercise due to the longer weight moment arm to the hip joint as the center of rotation. In contrast, the upright standing exercise commenced with the lowest weight moment arm and therefore, its lowest GMd activation. The mean ± SD activity of GMd in standing hip abduction was reported as 31.5 ± 22%. The addition of 3% body mass extra weight (~2.5 kg) to this exercise increased this value to 42 ± 27% (26). This study reported 20 and 27% activation for the same conditions. These differences may be explained by the intrinsic variability of subjects in the experiments and non-existence of confounding errors in the simulations. The model in the computer simulations could not consider different conditions of the subjects like their strength. Modeling of the weak models was because of taking one limit of these factors into account, which owned greater GMd activity as 40% that is nearer to the mentioned empirical data. Reversely, the end-range exercise (the full-abducted position with an angle of 45 degrees) imposed the lowest and highest activation of the hip abductor muscle, respectively for the side-lying (SL) and upright standing (US) modes. Remarkably, the SL mode activation was much greater than the US one that unveils the lighter nature of the standing hip abduction. When no extra weight was attached to the abducting leg and in normal muscular strength, the SL mode needed about 40% MVC of the GMd. This value was relatively in accordance with the experimental data reported by Bolgla and Uhl and Park et al. who measured it between 30 and 42% (12, 22). After subduing the primary resistance of the weight moment, the moment arm was reduced by the abduction of the leg because the center of mass of the lower leg approached the center of rotation, i.e. the hip joint. The reduction in the moment arm caused lower activation of GMd muscle in the following exercises. The GMd muscle was recruited more muscle fibers to act due to the growth in the moment arm of the leg. The decrease in activation of the GMd muscle in adduction was similar to the increase in the abduction part and the graph seemed became vertically mirrored. Such a mirrored pattern of activation was due to the nature of isokinetic exercises, i.e., the physical activity in which the velocity of performance remained constant and the exercise experienced no acceleration or deceleration. Hence, the inertial effects were omitted and the muscle had to provide certain moment around the joint to overcome moments of external loads including gravity either in abduction or in adduction. The addition of extra weights to the abducting leg led to increased activation of the GMd muscle, as expected. Nevertheless, the extent of the effects was different between the exercises. In the SL mode, adding a 5 kg weight caused a considerable increase in the activation while a 2.5 kg weight made a difference in the US mode with the no-weight born case (W0). The overall trend of muscle activity remained the same in all cases. The strength of the muscles was an influencing factor to choose the type of exercise. The normal ones (solid lines in Figure 4) could overcome the external moments due to lower levels of the GMd activation. However, the weaker musculature (dashed lines in Figure 4) was forced to recruit considerably more fibers to counteract the weight of the abducting leg. The addition of extra weights notably worsened the case in which the weaker persons may not be able to start hip abduction in the side-lying position with 5 and even 2.5 kg weights attached to the shank. This finding emphasized the importance of the physiotherapeutic plan for persons with different muscular conditions. The present study evaluated the activity of gluteus medius in two modes of hip abduction exercise; however, several limitations existed in the simulation. No joint stiffness or viscoelasticity was considered at the hip. The validation of the results of recently developed AnyBody software with experimental data attracted less attention in recent years (34). Manders et al. validated gait forces calculated by AnyBody software using experiments on the hip joint during gait and found that software developed results close to the literature (35). In addition, Dubowsky et al. presented a patient-specific upper body model for calculating shoulder joint forces in wheelchair propulsion using AnyBody and validated their results with experiments on three participants (36). 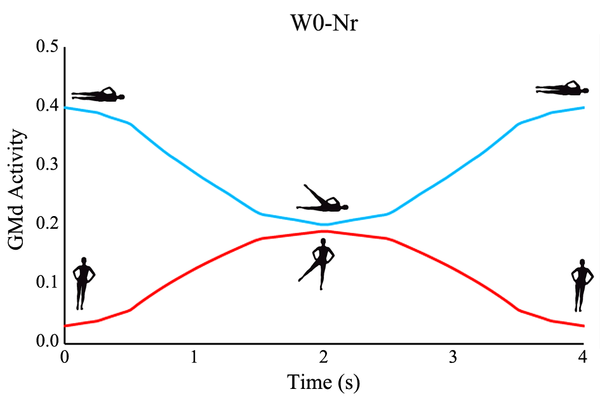 Muscular activity was the measure they compared between simulations and experiments leading to the mean absolute error of 0.165 averaged between 12 muscles involved in the study. By developing a musculoskeletal model of lifting techniques, Mirakhorlo et al. compared the activation of several role-playing muscle groups in lifting with experimental EMG data and reported Pearson coefficients between 0.72 and 0.92 indicating a good agreement of AnyBody results with the experimental outcomes (37). It is of crucial practical importance to mention that although the standing hip abduction involved the GMd by about 33% in normal and 59% in weaker individuals, the right leg as the fixed bearing may also be loaded. The abducting leg GMd muscle merely withstood against the external moment of the weight of one leg (16% BW) in no-weight cases; however, the fixed left leg should sustain the weight of the upper extremities (63% BW). These loadings should be evened off by the activation of muscle as internal forces in which the right GMd muscle played an important role. A compensatory mechanism of the human musculoskeletal system was thus to reduce the moment arm of the exerted load by shifting the COP toward the right leg (12). Furthermore, although the main function of gluteus maximus was the hip extension, they assisted the left and right GMd muscles in abduction exercise. The right gluteus maximus in the abduction phase acted up to 11% and undertook a considerable share of external moments around the hip joint even in the frontal plane. In conclusion, this study indicated that the hip abduction exercise could sufficiently involve gluteus medius muscle either in standing or in side-lying mode. Therefore, the abduction of the hip may be efficient in rehabilitative plans to strengthen the weakened gluteus medius muscle. The side-lying mode due to its initial and overall higher needs of muscle activation may not be appropriate for severely damaged cases. Indeed, standing hip abduction can be more beneficial to start a rehabilitation plan. The addition of extra weights affected more standing exercise than the side-lying mode. This paper was supported by the Physical Medicine and Rehabilitation Research Centre, Tabriz University of Medical Sciences, Tabriz, Iran. Authors' Contribution: Mahmoodreza Azghani and Seyed Kazem Shakouri developed the study concept and design, and analyzed the data and interpreted the results. Mohammed N. Ashtiani performed the modeling, acquired the data, drafted the manuscript, and provided technical support. The study was supervised by Mahmoodreza Azghani. Funding/Support: This Study was supported by Center of Physical Medicine and Rehabilitation, Tabriz University of Medical Sciences (grant number 90664109). 1. Bunker TD, Esler CN, Leach WJ. Rotator-cuff tear of the hip. J Bone Joint Surg Br. 1997;79(4):618-20. doi: 10.1302/0301-620X.79B4.0790618. [PubMed: 9250749]. 2. Grimaldi A. Assessing lateral stability of the hip and pelvis. Man Ther. 2011;16(1):26-32. doi: 10.1016/j.math.2010.08.005. [PubMed: 20888285]. 3. Lee D. An integrated model of "joint" function and its clinical application. Presentation at the 4th Interdisciplinary World Congress on Low Back and Pelvic Pain. 2001 Nov 8. 4. Leetun DT, Ireland ML, Willson JD, Ballantyne BT, Davis IM. Core stability measures as risk factors for lower extremity injury in athletes. Med Sci Sports Exerc. 2004;36(6):926-34. doi: 10.1249/01.MSS.0000128145.75199.C3. [PubMed: 15179160]. 5. Wilson J, Ferris E, Heckler A, Maitland L, Taylor C. A structured review of the role of gluteus maximus in rehabilitation. NZ J Physiother. 2005;33(3). 6. Levangie P. The Hip complex. In: Levangie P, Norkin C, editors. Joint structure and function: A comprehensive analysis. 4th ed. Philadelphia: F.A. Davis Company; 2001. 368−70 p.
7. Pool-Goudzwaard AL, Vleeming A, Stoeckart R, Snijders CJ, Mens JM. Insufficient lumbopelvic stability: A clinical, anatomical and biomechanical approach to 'a-specific' low back pain. Man Ther. 1998;3(1):12-20. doi: 10.1054/math.1998.0311. [PubMed: 11487296]. 8. Nelson-Wong E, Gregory DE, Winter DA, Callaghan JP. Gluteus medius muscle activation patterns as a predictor of low back pain during standing. Clin Biomech (Bristol, Avon). 2008;23(5):545-53. doi: 10.1016/j.clinbiomech.2008.01.002. [PubMed: 18282648]. 9. Nelson-Wong E, Flynn T, Callaghan JP. Development of active hip abduction as a screening test for identifying occupational low back pain. J Orthop Sports Phys Ther. 2009;39(9):649-57. doi: 10.2519/jospt.2009.3093. [PubMed: 19721214]. 10. Milner CE, Hamill J, Davis IS. Distinct hip and rearfoot kinematics in female runners with a history of tibial stress fracture. J Orthop Sports Phys Ther. 2010;40(2):59-66. doi: 10.2519/jospt.2010.3024. [PubMed: 20118528]. 11. Hewett TE, Ford KR, Myer GD. Anterior cruciate ligament injuries in female athletes: Part 2, a meta-analysis of neuromuscular interventions aimed at injury prevention. Am J Sports Med. 2006;34(3):490-8. doi: 10.1177/0363546505282619. [PubMed: 16382007]. 12. Bolgla LA, Uhl TL. Electromyographic analysis of hip rehabilitation exercises in a group of healthy subjects. J Orthop Sports Phys Ther. 2005;35(8):487-94. doi: 10.2519/jospt.2005.35.8.487. [PubMed: 16187509]. 13. Distefano LJ, Blackburn JT, Marshall SW, Padua DA. Gluteal muscle activation during common therapeutic exercises. J Orthop Sports Phys Ther. 2009;39(7):532-40. doi: 10.2519/jospt.2009.2796. [PubMed: 19574661]. 14. Ayotte NW, Stetts DM, Keenan G, Greenway EH. Electromyographical analysis of selected lower extremity muscles during 5 unilateral weight-bearing exercises. J Orthop Sports Phys Ther. 2007;37(2):48-55. doi: 10.2519/jospt.2007.2354. [PubMed: 17366959]. 15. O'Sullivan K, Smith SM, Sainsbury D. Electromyographic analysis of the three subdivisions of gluteus medius during weight-bearing exercises. Sports Med Arthrosc Rehabil Ther Technol. 2010;2:17. doi: 10.1186/1758-2555-2-17. [PubMed: 20624291]. [PubMed Central: PMC2912252]. 16. Fredericson M, Cookingham CL, Chaudhari AM, Dowdell BC, Oestreicher N, Sahrmann SA. Hip abductor weakness in distance runners with iliotibial band syndrome. Clin J Sport Med. 2000;10(3):169-75. doi: 10.1097/00042752-200007000-00004. [PubMed: 10959926]. 17. Piva SR, Teixeira PE, Almeida GJ, Gil AB, DiGioia AM 3rd, Levison TJ, et al. Contribution of hip abductor strength to physical function in patients with total knee arthroplasty. Phys Ther. 2011;91(2):225-33. doi: 10.2522/ptj.20100122. [PubMed: 21212373]. [PubMed Central: PMC3037768]. 18. Rabel MC, Rosenthal F, Smith J, Bennett H. Muscle activation during common hip strengthening exercises. Int J Sci Inform. 2012;2(1):8-14. 19. Cynn HS, Oh JS, Kwon OY, Yi CH. Effects of lumbar stabilization using a pressure biofeedback unit on muscle activity and lateral pelvic tilt during hip abduction in sidelying. Arch Phys Med Rehabil. 2006;87(11):1454-8. doi: 10.1016/j.apmr.2006.08.327. [PubMed: 17084119]. 20. Ireland ML, Willson JD, Ballantyne BT, Davis IM. Hip strength in females with and without patellofemoral pain. J Orthop Sports Phys Ther. 2003;33(11):671-6. doi: 10.2519/jospt.2003.33.11.671. [PubMed: 14669962]. 21. Kendall FP, McCreary EK, Provance PG. Muscles: Testing and function with posture and pain. Baltimore: Williams and Wilkins; 2005. 22. Park KM, Kim SY, Oh DW. Effects of the pelvic compression belt on gluteus medius, quadratus lumborum, and lumbar multifidus activities during side-lying hip abduction. J Electromyogr Kinesiol. 2010;20(6):1141-5. doi: 10.1016/j.jelekin.2010.05.009. [PubMed: 20646935]. 23. Sinsurin K, Pluemjai S, Srisangboriboon S, Suanshan S, Vachalathiti R. Gluteus medius muscle activities during standing hip abduction exercises in the transverse plane at different angles. J Med Assoc Thai. 2015;98 Suppl 5:S42-7. [PubMed: 26387410]. 24. Boren K, Conrey C, Le Coguic J, Paprocki L, Voight M, Robinson TK. Electromyographic analysis of gluteus medius and gluteus maximus during rehabilitation exercises. Int J Sports Phys Ther. 2011;6(3):206-23. [PubMed: 22034614]. [PubMed Central: PMC3201064]. 25. Ekstrom RA, Donatelli RA, Carp KC. Electromyographic analysis of core trunk, hip, and thigh muscles during 9 rehabilitation exercises. J Orthop Sports Phys Ther. 2007;37(12):754-62. doi: 10.2519/jospt.2007.2471. [PubMed: 18560185]. 26. Macadam P, Cronin J, Contreras B. An examination of the gluteal muscle activity associated with dynamic hip abduction and hip external rotation exercise: A systematic review. Int J Sports Phys Ther. 2015;10(5):573-91. [PubMed: 26491608]. [PubMed Central: PMC4595911]. 27. Lloyd DG, Besier TF. 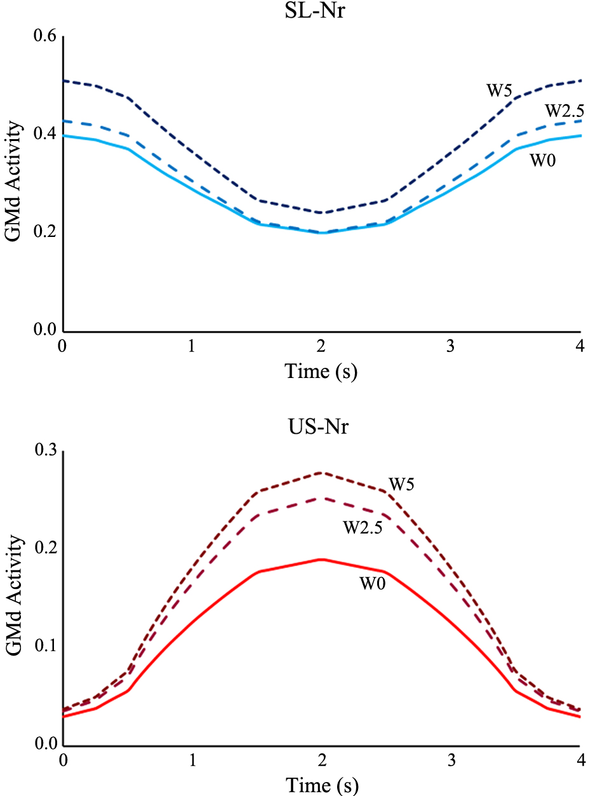 An EMG-driven musculoskeletal model to estimate muscle forces and knee joint moments in vivo. J Biomech. 2003;36(6):765-76. doi: 10.1016/S0021-9290(03)00010-1. [PubMed: 12742444]. 28. Ashtiani MN, Azghani MR. Effect of aging on feasibility and contribution of joint mechanisms in balanced standing using biomechanical modeling. Zahedan J Res Med Sci. 2017;19(8). e11786. doi: 10.5812/zjrms.11786. 29. Ashtiani MN, Azghani MR. Predictive models for estimation of the human stance equilibrium parameters using inverse dynamics and response surface method. J Musculoskelet Res. 2017;20(3):1750016. doi: 10.1142/s0218957717500166. 30. Ambrósio J, Quental C, Pilarczyk B, Folgado J, Monteiro J. Multibody biomechanical models of the upper limb. Procedia IUTAM. 2011;2:4-17. doi: 10.1016/j.piutam.2011.04.002. 31. Damsgaard M, Rasmussen J, Christensen ST, Surma E, de Zee M. Analysis of musculoskeletal systems in the Anybody modeling system. Simul Model Pract Theory. 2006;14(8):1100-11. doi: 10.1016/j.simpat.2006.09.001. 32. Delp SL, Loan JP, Hoy MG, Zajac FE, Topp EL, Rosen JM. An interactive graphics-based model of the lower extremity to study orthopaedic surgical procedures. IEEE Trans Biomed Eng. 1990;37(8):757-67. doi: 10.1109/10.102791. [PubMed: 2210784]. 33. Arnold EM, Ward SR, Lieber RL, Delp SL. A model of the lower limb for analysis of human movement. Ann Biomed Eng. 2010;38(2):269-79. doi: 10.1007/s10439-009-9852-5. [PubMed: 19957039]. [PubMed Central: PMC2903973]. 34. Petrella A, Rasmussen J, Al-Munajjed A, Damsgaard M, Lund M, Kiis A. How good is good enough? Lessons in musculoskeletal model validation with the Anybody modeling system. J Med Devices. 2013;7(4):40906. doi: 10.1115/1.4025766. 35. Manders C, New A, Rasmussen J. Validation of musculoskeletal gait simulation for use in investigation of total hip replacement. J Biomech. 2008;41. S488. doi: 10.1016/s0021-9290(08)70487-1. 36. Dubowsky SR, Rasmussen J, Sisto SA, Langrana NA. Validation of a musculoskeletal model of wheelchair propulsion and its application to minimizing shoulder joint forces. J Biomech. 2008;41(14):2981-8. doi: 10.1016/j.jbiomech.2008.07.032. [PubMed: 18804763]. 37. Mirakhorlo M, Azghani MR, Kahrizi S. Validation of a musculoskeletal model of lifting and its application for biomechanical evaluation of lifting techniques. J Res Health Sci. 2014;14(1):23-8. [PubMed: 24402846].